While out on the Harajuku neighborhood one evening, we came across this trio of 19-year-old Bunka Fashion College students, all dressed in their individual takes on fashionable street dressing. 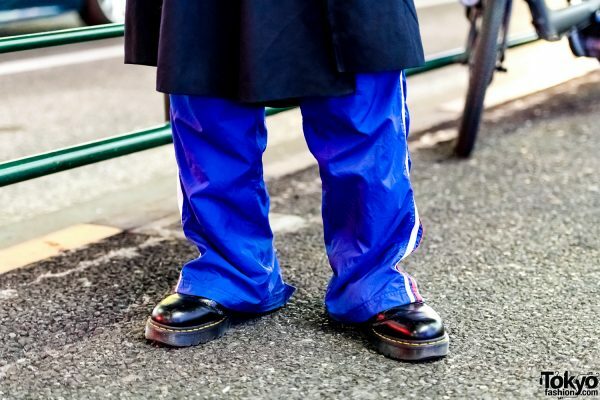 At the left is Yamako, who is decked out on a black Comme des Garcons blazer, a black t-shirt, and a black Comme des Garcons skirt worn over blue track pants with red-and-white side stripes from Adidas. 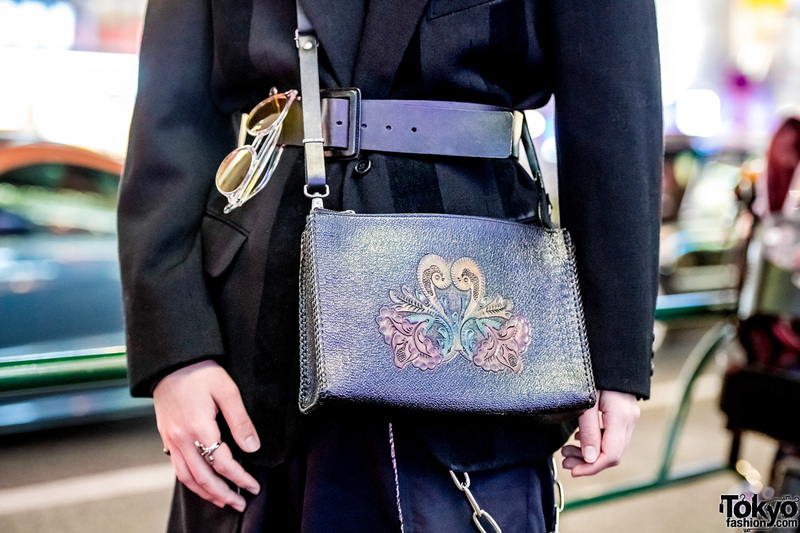 Black Dr. Martens boots, a black floral print sling bag, and accessories such as multiple silver ear piercings, a black leather belt, sunglasses hanging from the belt, silver wallet chains, and a silver knuckle ring. Yamako is active on Twitter and Instagram. 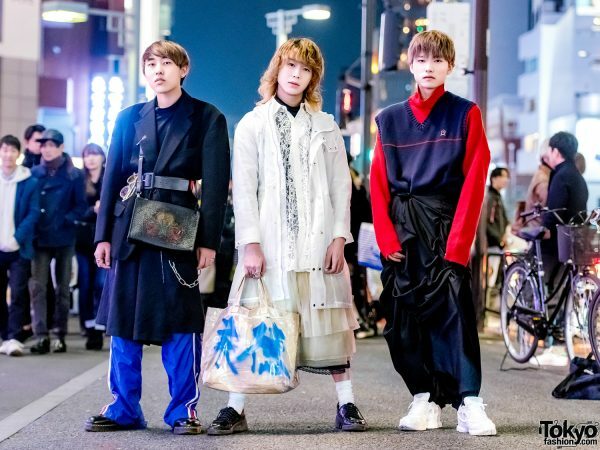 Sporting curly blonde hair, Saga_ is dressed in a monochrome outfit, which consists of a resale Dog Harajuku sheer parka, a lace button down shirt from Comme des Garcons Tricot over a black mock-neck sweatshirt, a cream-colored ruffle layered skirt from Comme des Garcons, and a black lace skirt underneath. 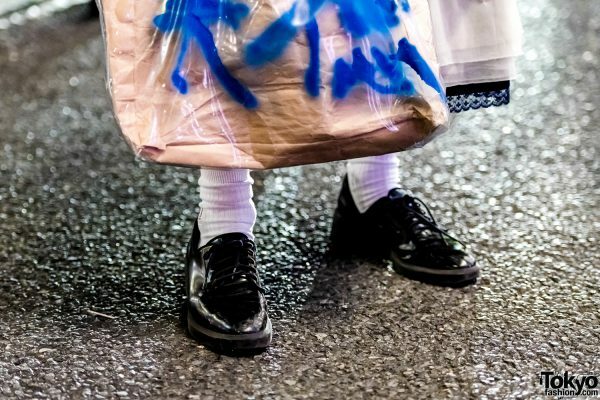 White socks, black Zara lace-up shoes, silver rings, and a remake Comme des Garcons tote bag completed his look. 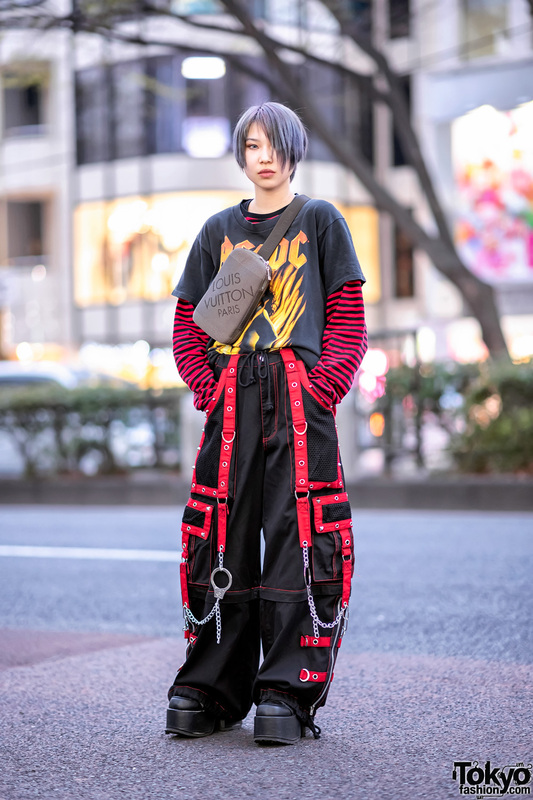 Kansai Yamamoto is Saga_’s favorite fashion label. 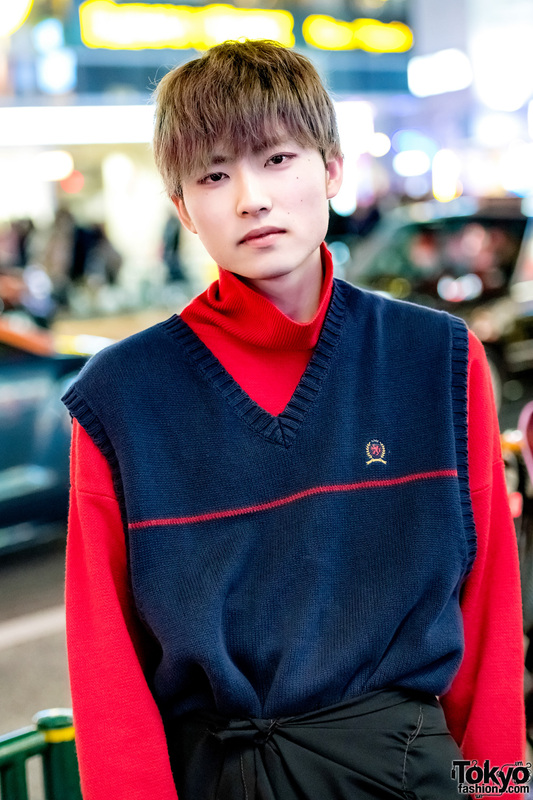 Saga_ is also active on Twitter and Instagram. 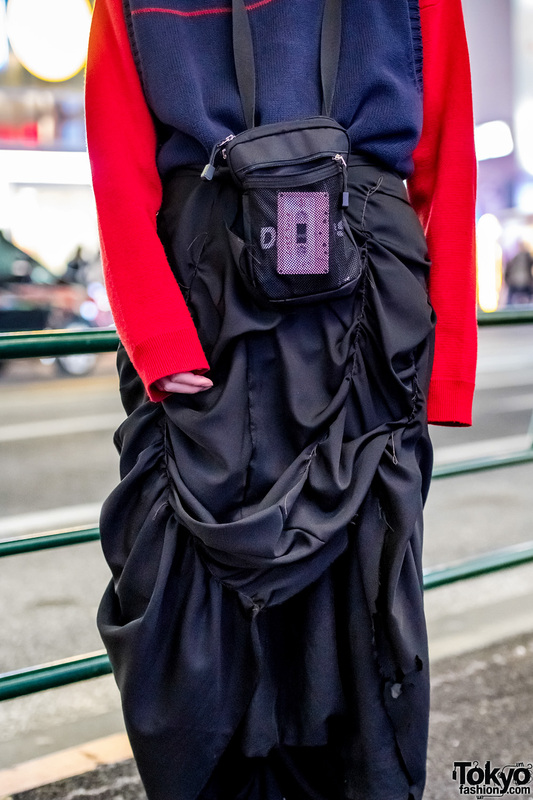 Meanwhile, Yusuke is wearing a red turtleneck sweater from Gosha Rubchinskiy, layered with a Tommy Hilfiger sweater vest, and a long black handmade ruffle skirt over denim pants. 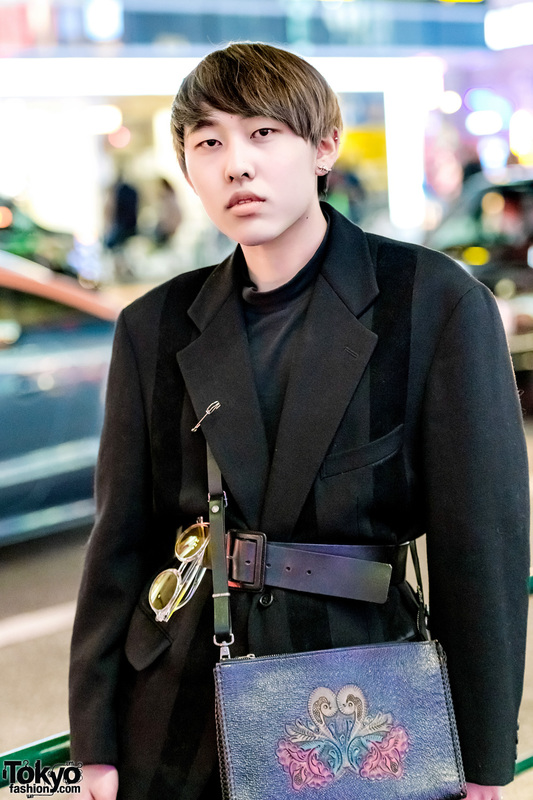 He finished off his ensemble with white Raf Simons sneakers and a black sling bag. 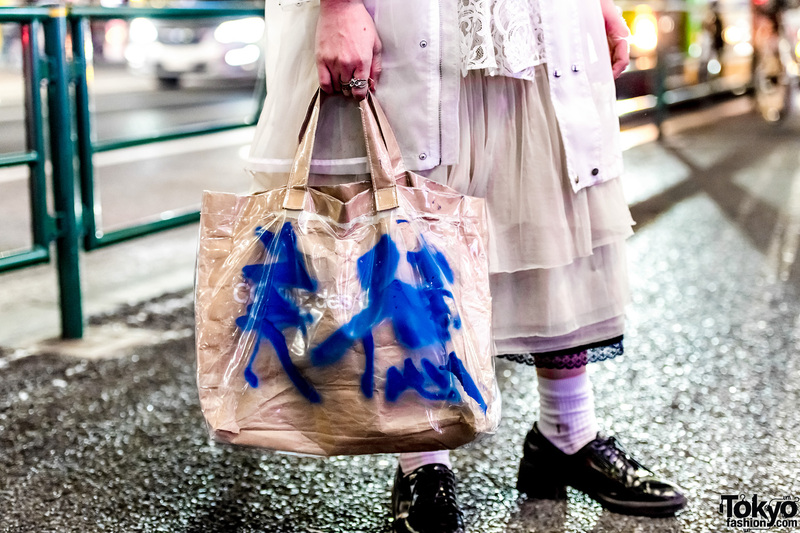 Raf Simons is Yusuke’s favorite fashion brand, and he enjoys the music of Jinmenusagi. 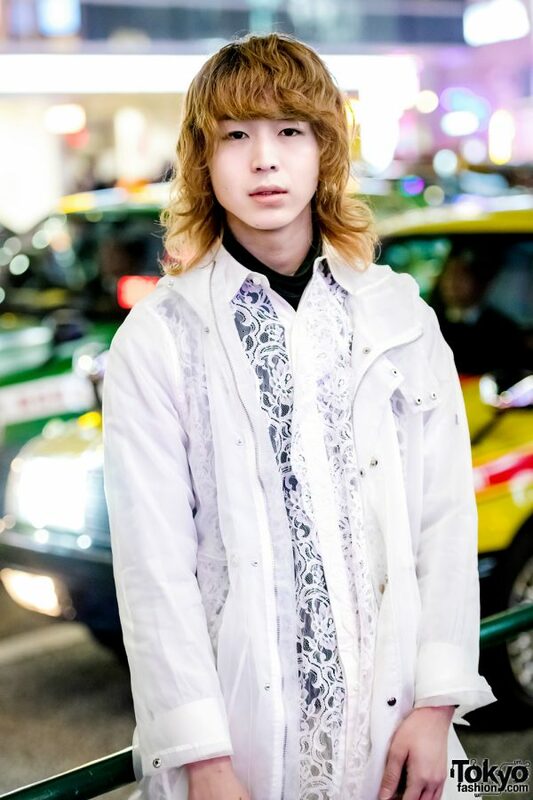 Follow Yusuke’s social media updates on Twitter and Instagram.